Posted on June 15, 2018 by Brendan Jones Posted in Learning, Mobile technology, Physical education, Technology, Uncategorized	. Ever since I started PE teaching I think I’ve tinkered with a way to make practical skills observation authentic and manageable. I always seemed to end up with reams of paper and time intensive teacher centered activity as the result. With the advent of mobile technology, I’d hoped that the solution would be closer, but up to now, no. It was always an issue of equity and access – we didn’t have class sets of school provided mobile technology for the kids to use. The kids were reluctant to use their own mobile devices as class tools, for whatever reason. School provided wifi didn’t stretch to where I needed it most – the playing fields. There wasn’t a really simple method of getting the data collected and then analysed. Today, after semi hatching and sort of plan, the perfect storm of tools and environment came together and it was cool. Really cool. 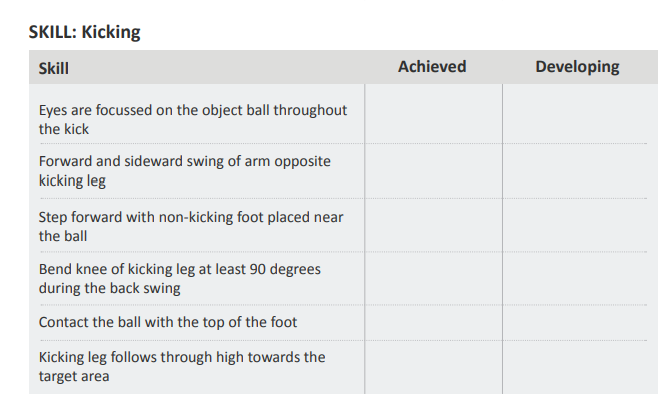 To set the scene, Year 7 are working on a unit to do with kicking and improving the way we kick a ball. I wanted a way to gather some baseline data, and then use that to guide what each kid could work on, after reviewing their own data. 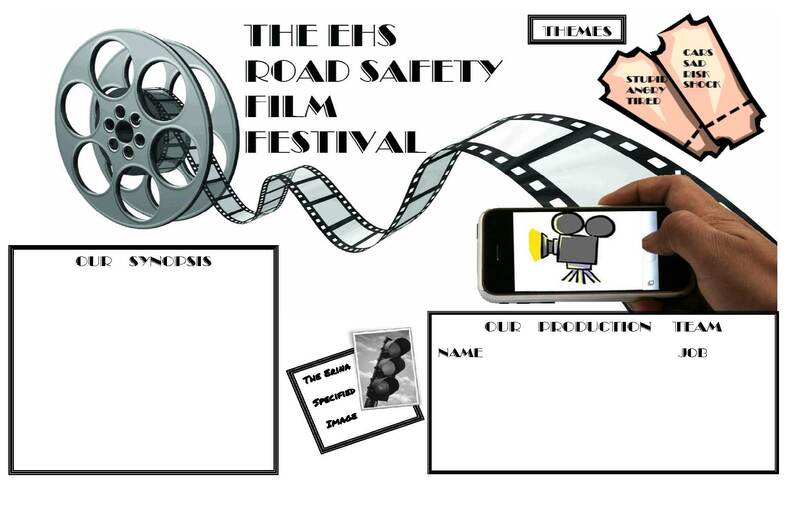 Faced with the prospect of unwieldy tick box observation sheets (things that I find never survive a Year 7 PE lesson very well) I came up with a little trial project idea thingy. Recently some old iPads become surplus to requirements at my school. I was able to get my hands on 6 of them. Testing that they picked up our extended wifi on the school oval was successful, so they became the observation tool paper replacement. 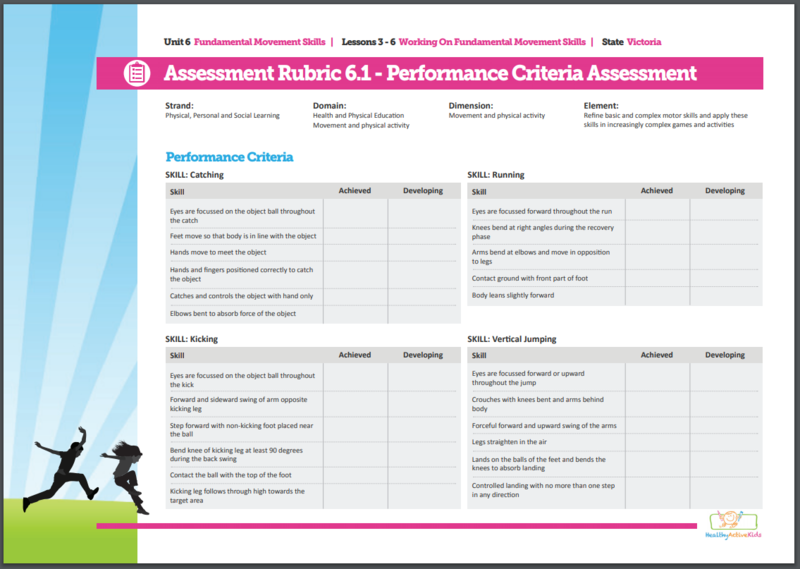 I created a Google Form Peer Observation survey that was based on a Health Active Kids kicking rubric. 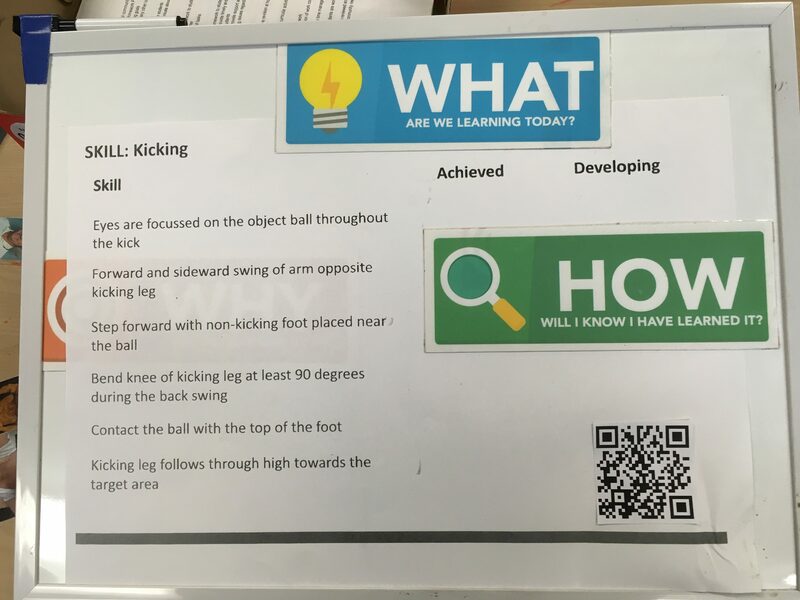 I put that kicking rubric on my trusty visible learning whiteboard, and added a QR code that when scanned, went to the Google Form. Lesson time. I started by showing the kids the whiteboard with the features of good kicking. (We had already spent a previous lesson breaking kicking down and practising the skill). 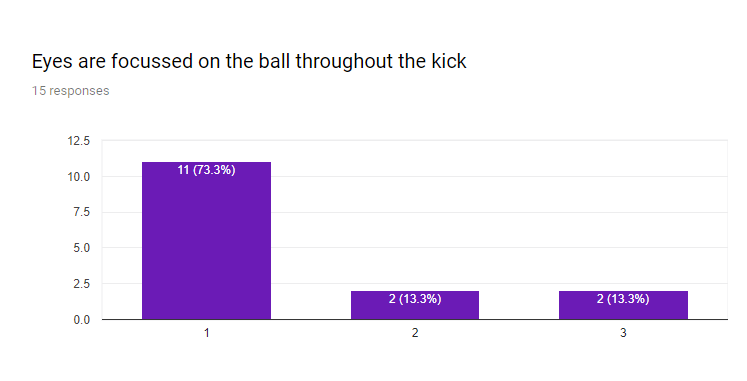 I then let the kids loose in small groups, each with a ball and an iPad with the Google Form survey loaded after scanning the code. My only instruction was that everyone had to be observed by a buddy, and the observations entered on the iPad. Straight away I noticed one thing. The dynamic of the class changed right away. My role went straight to one of tech support and advisor and the kids willingly stepped up and ran the observations themselves. The data collection was taken seriously (and on first glance, very honestly) and although we ran out of time before everyone was observed, the kids were keen to make sure everyone had their data recorded. My plan is to give each kid their own observation results as feedback and let them identify what they need to work on. We will then develop practice routines bring about skill development, then using the same observation, see if they have improved over time. Differentiation as its purest! What impressed me most was the data that this produced, and the implications for individual learning into the future. This is potentially a rich vein of information that can be leveraged for future teaching and learning, reporting and assessment. This was also the product of a serendipitous series of events and situations that may not be available to everyone outside my context. This is what frustrates me the most when it comes to recommending this type of activity because I know not everyone has the access to the tools. I know, because I was in that situation days before. My take away from today- peer observation can be a powerful experience for both the kids and the teacher. And if you get a chance to try something new, don’t waste it. Tags: PDHPE, PE, technology	. 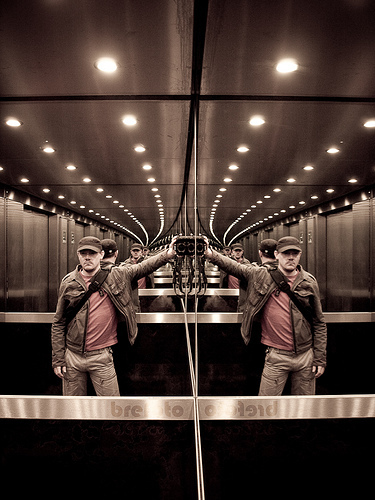 Posted on January 9, 2015 by Brendan Jones Posted in Leading, Mobile technology, Technology	. In the years that I’ve tried to lead doing new or interesting things at school the same lesson always comes back to me – you can’t just “build it and they will come”. What I mean is – you can’t just build a Moodle, or grant access to Google Apps, or start an Edmodo class, or give out a device without some established meaning or purpose. It’s the same with books and pencils – just giving them out only suggests that they’ll be used, but the way they could be used remains a mystery to the people that get them. Until you add the purpose. Hopefully the purpose will be sound, and sound in many ways. Pedagogically, relevant and engaging to kick off the list. These require thought. Planning. An understanding of students, settings and goals or outcomes like assessment or wider community engagement. I saw a perfect example today as I sat in McDonalds enjoying a frozen Coke with my wife on a stinking hot day. We’ve all seen QR codes before. They were trumpeted as the next big thing in making information available to smartphone savvy people. “Just stick them out there and the kids will love them”. The trouble was, their success was dependent on a few variables – you needed a smartphone, you needed a QR scanning app, you needed an internet connection (or at the very least a local wireless server). But most importantly, you needed a reason beyond a clever parlour trick or gimmick. I’ve seen some clever uses (instruction sheets for gym classes, orienteering courses and daily notices) but the “completeness” of the McDonald’s implementation (regardless of how you view their junk food culture and advocacy of wasteful consumerism) is neat, purposeful and a case study in design. It involves a dedicated app that allows you to order and buy stuff, information about their range, a built in QR code scanner to jump queues, hints at freebies and bonuses – couple that with a motivated audience with a need for fast service and you have the package – innovation, audience and purpose. It addresses that idea of an ubiquitous application of innovation, not just technology. The ever present, Swiss army knife of innovation, so to speak. Something that does many things and potentially becomes indispensable. Obviously this is a high end example, backed by a multinational’s coin and a well groomed clientèle. But it certainly made me think about school and how we roll out innovation. We have a clientèle that could benefit from innovation in our teaching, but the gap we have to bridge first is the “why” rather than the “how”. We have the “how” nailed – tools abound for us to use. A meaningful “why” is a lot trickier. 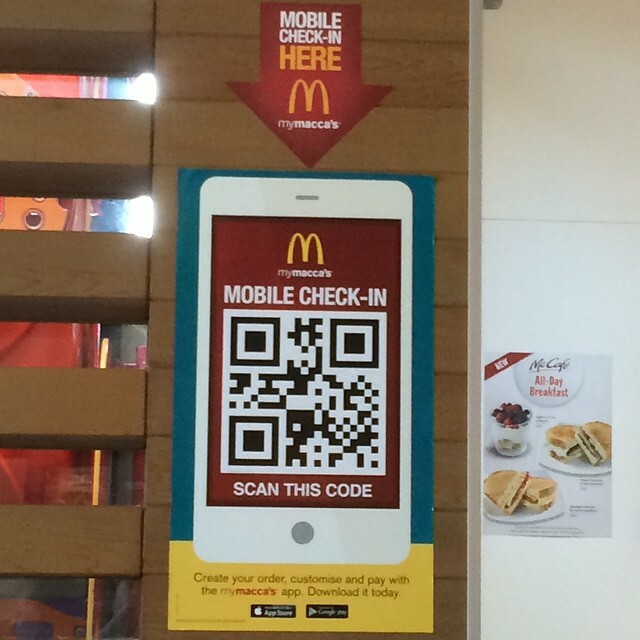 Tags: leading, QR codes, technology	. Posted on March 1, 2014 by Brendan Jones Posted in GoPro, Mobile technology, Physical education, Technology	. I have played around with a few gadgets in class over the years to try and mesh tech and the outcomes of my PE programs. I played around with cheap GPS data loggers and found they could be useful for analysing player movement in a game situation, just like the pros., for a fraction of the cost. I’ve owned a GoPro camera for a while now and I’ve used it mainly for recording my cycling adventures. In the process of using it to help make a school promotional video, I discovered that the GoPro had potential in PE class for studies and analysis from players POV (Point of View). Most people have access to a recording device of some sort, so a GoPro isn’t a prerequisite, but the development they have put into into the mounts make it a very usable device for physical activity. The footage from a chest mounted camera is pretty raw and unscripted, but it gave me a few ideas on what it could be used for. I’m thinking – part of a student portfolio that demonstrates their participation in not just school activities, but long physical activities outside school. How do you think a GoPro camera could fit with enhancing your PE program outcomes? Tags: GoPro, PE, video	.